Whilst Glastonbury Festival revellers last year were wallowing in the mud, music lovers in North Devon were basking in the sunshine at their very own live music festival. The Bideford and North Devon Music Day organised in association with the North Devon Festival was held on Sunday June 26th 2005 in Victoria Park, Bideford. 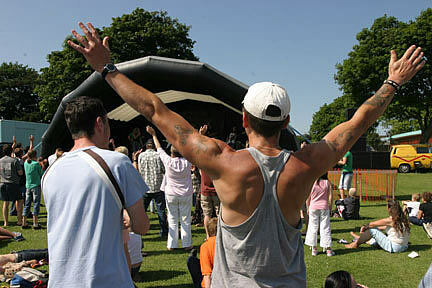 Thousands of people, of all ages, enjoyed the free all day show with non-stop music on two stages. The main stage was headlined by legendary Jazz guitarist, John Etheridge who has appeared either in concerts, touring or recording with many well known artists including Stephane Grappelli, Dizzy Gillespie, Yehudi Menuhin and Nigel Kennedy. Folk Rock Cellist, Caroline Lavelle, who is currently a touring member of the Chieftans, made here first appearance at the event. They were supported by local folk, rock and pop bands, school bands & orchestras. The crowds were entertained with an eclectic mix of music styles including Folk, Gospel, Jazz, Pop, Punk, Reggae, Ska, Rock and Rockabilly. A Brazilian flavour was added by the Bideford School of Samba and "with a swing of the kilt and the skirl of the pipes" a taste of Scotland from the Bideford Youth Pipe Band. The event saw the addition of an Acoustic Stage where local artists played Afro-Celt Rhythms, Blues, Folk, Jazz, Skiffle and Irish Jigs n' reels. 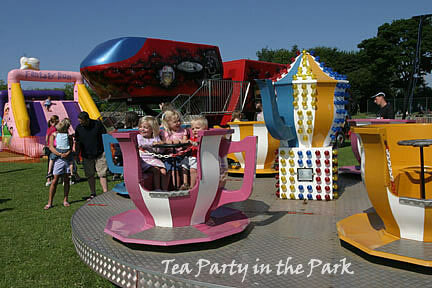 It was a fun day for all the family, with attractions, stalls, refreshments and licensed bar. This exciting celebration of music is a charitable event with all profits granted to schools and non-profit making bands for the acquisition of musical instruments and music paraphernalia. 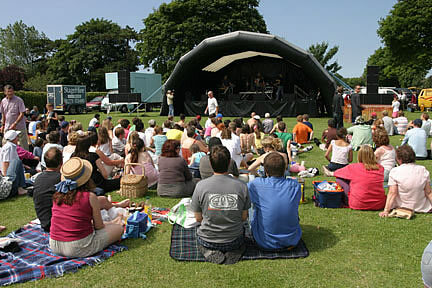 Sadly 2005 was the final Bideford Music Day event.